Place dates and water in a small saucepan and heat gently until dates are soft. Place warm chocolate-date mixture in a food processor and process until the mixture is smooth. Grease & line a 20 cm / 8" square tin. Stir in flour & baking powder then stir in ground almonds until combined. Press half the mixture into the prepared tin, spread with date & chocolate mixture then dot remaining dough mixture over top. Bake 25-30 minutes. Once cold, dust with icing sugar to serve. 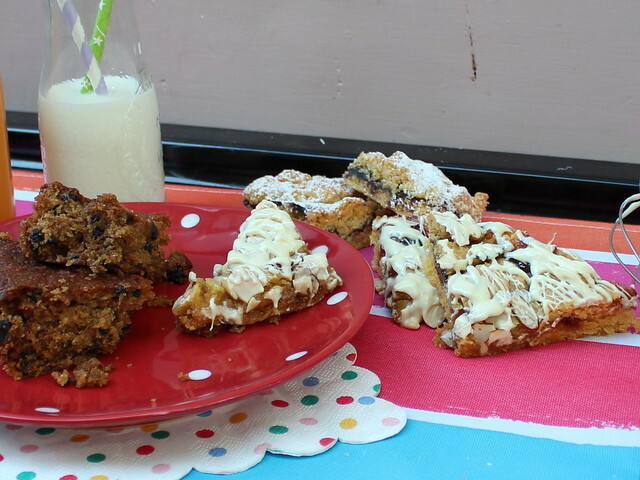 This entry was posted in Baking, Savour, Slices & Squares and tagged baking, date & chocolate slice, date & chocolate square, dates, Savour, slice by Jo Dohrman. Bookmark the permalink.